The boy could help them bring down a deadly ISIS terror cell. They just have to find him before the other side does. From the refugee camps of Greece to the mountains of Macedonia, a thirteen year old boy is making his way to Germany and safety. Codenamed 'Firefly', he holds vital intelligence: unparalleled insight into a vicious ISIS terror cell, and details of their plans. But the terrorists are hot on his trail, determined he won't live to pass on the information. 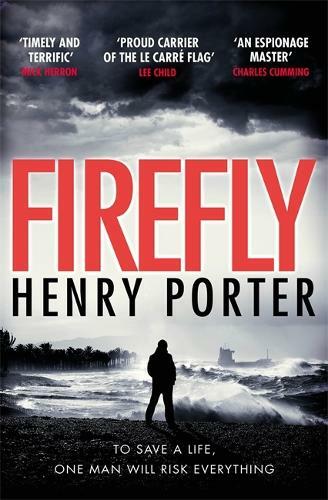 When MI6 become aware of Firefly and what he knows, the race is on to find him. Paul Samson, ex-MI6 agent and now private eye, finds himself recruited to the cause. Fluent in Arabic thanks to his Lebanese heritage, Samson's job is to find Firefly, win his trust and get him to safety.